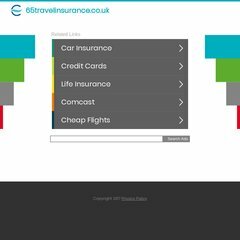 65travelinsurance.co.u.. Staysure Travel Insurance for over 65s. Cheap holiday insurance. 65travelinsurance.co.u.. Insurance for All Travel Insurance - Specialist over 65 travel ..
phonesforelderly.com Seniors Discounts - Senior citizen discounts and senior concessions .. It is hosted by Theplanet.com Internet Services Inc (Texas, Houston,) using Apache web server. Its IP Number is 174.120.40.186. Its 2 nameservers are ns1767.hostgator.com, and ns1768.hostgator.com. PING (174.120.40.186) 56(84) bytes of data.